I am Harsha, a software professional from Hyderabad, India. 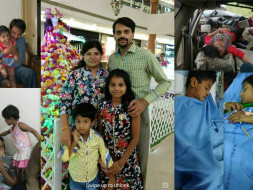 My maternal uncle and his wife, lost their lives in a disturbing and misfortunate road accident, while returning from a wedding along with the bride and groom on March 9, leaving behind their two children, aged 9 and 5. Hailing from a lower middle class family which is struggling to make its mark in today’s competitive world, my uncle, after completing his M.Com, took up a Job of filling ATMs with cash for a monthly income of Rs.6000 and my aunt was working as a clerk. After having two kids, they started working hard like every other parent would do, to provide them not only good education but also to fulfill every desire of theirs. My uncle secured a Job in a software firm after attending several private trainings and certifications. They were also taking care of my grandparents aged 78 and 70. Just when we thought their picture was perfect, things took an ugly turn and now, lack of funds have made the future of the children look difficult. Thanks a lot, everybody, all the amount has been put in a FD in the name of kids and the interest amount is being used for their monthly expenses. These FD's will be cancelled if and when required for the kids. 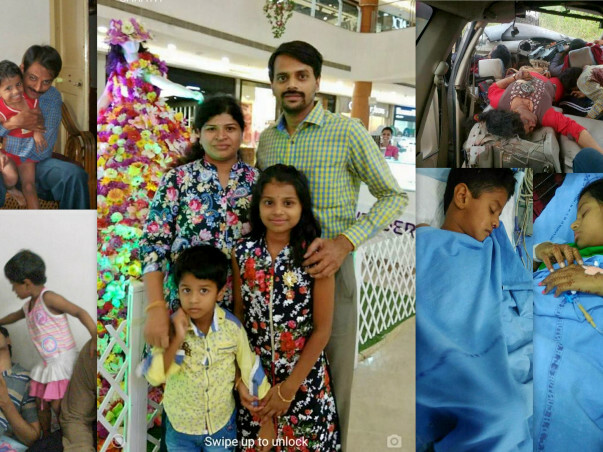 After having seen you people raise a large amount of money, I have also started contributing small amounts from my salary towards whoever is in need and hope this crowdfunding concept helps many more families. I thank each one of you for the donation you have made for the fundraiser. As informed earlier, these funds will be put in fixed deposits and will be used appropriately when needed for the kids. I am stopping the campaign now. 1.As a family we will be taking care of their daily needs. 2.This money is mainly for their education. 3.Once the fund is raised, it will be split into half and deposited in the name of the kids with the nominee as our grandfather and will be used appropriately. 4.Will provide necessary information on the complete money flow and rest assured that the money will be used only for the kids. 5.For any futher details please feel free to email me.